EMC is supporting another project initiated by EMC young man Jimi Issa, water catchment in the Shegerab High school in Sudan. While Shegerab is the largest Eritrean refugee camp, the school do not have an adequate water supply which makes it difficult for the students to study while they are thirsty. Currently, the school has to bring water tanker every day but it lacks ‬proper and healthy storage. Water catchment allows schools to collect rainwater every time there is a rain reducing the cost of buying water. 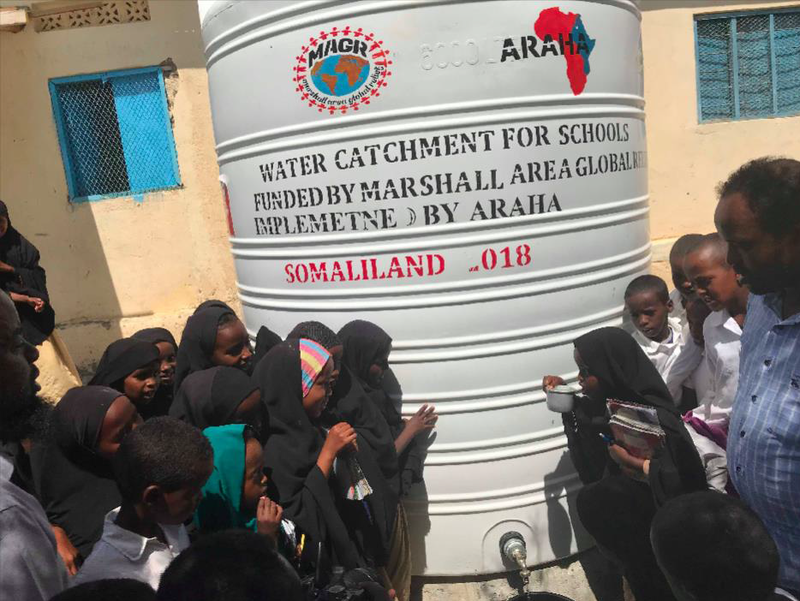 Additionally, the water catchment provides proper and healthy storage water for the school reducing the spread of contiguous diseases among students benefiting over 400 students and staff. Water catchment is an innovative method to combat severe drought. EMC is helping Jimi to reach his goal of $4,000 by March 15, 2019, to fund this project which will be implemented by ARAHA (American Relief Agency for the Horn of Africa). We’ve reached our goal for this project! Thank you for your generous donation, please stay tuned for updates on the project.